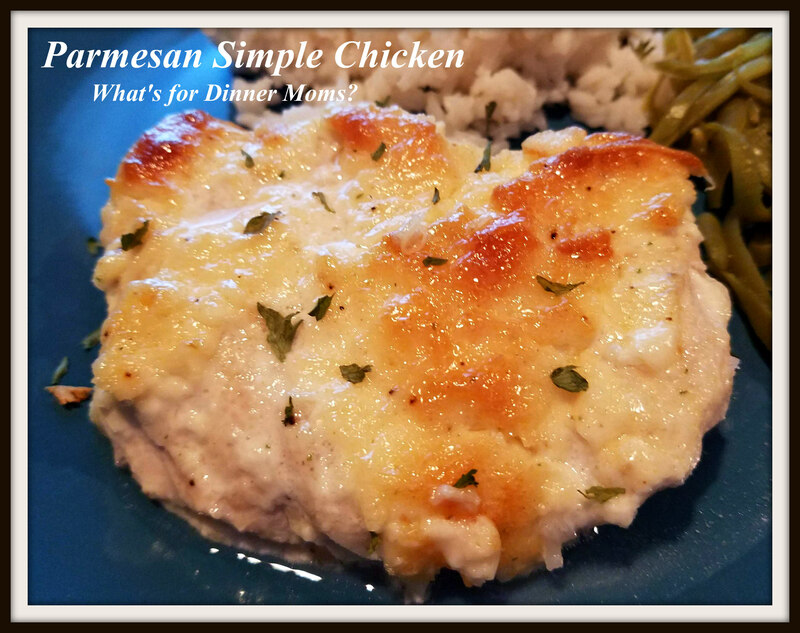 Parmesan Simple Chicken – What's for Dinner Moms? Finishing the last day of cleaning out our freezer. We have a turkey and a few bits and pieces that we are pulling to our upstairs freezer to use in the next week or they need to go. I love having a clean freezer to start again. We had a package of chicken left to use and I was looking for something to make that we had all the ingredients already in the house. Every one of us kept saying how very good this chicken was. We didn’t have to use knives because you could cut it with a fork. 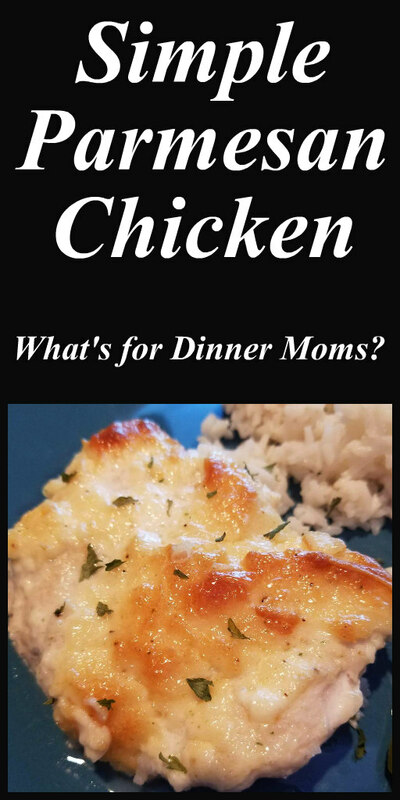 For chicken breasts that is really good. 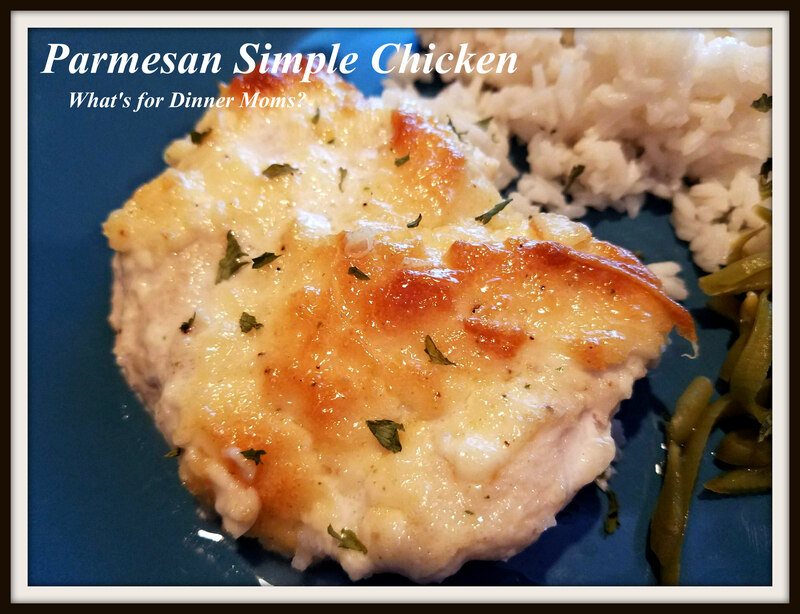 The chicken with the Morton Nature’s Seasoning Blend and Parmesan cheese added a nice flavor. I highly encourage you to use freshly grated Parmesan cheese in this as it adds a much better flavor to the dish but if you only have green can Parmesan that will work. A super simple dish that is so tender you can cut the chicken breasts with a fork. Preheat oven to 375 degrees. Spray a 9″ x 13″ pan with non-stick spray. Pound chicken down to an even 1/2″ to 3/4 inch thickness. Mix together mayonnaise, Parmesan cheese, seasonings, and garlic until well blended. Lay chicken in pan and spread mixture over chicken. Bake for 45 minutes or until chicken is done.